It has been a long time since I have posted my last craft tutorial! I made a lot of cards and other crafts during the holidays , but couldn't post them immediately,so here I go! I made some sweet roses and of course flowers too for the embellishment of the cards. Here today I will be showing how to make 5 petal 3D flowers ,the size depends on you , but I here made small flowers.So , without much of my blabbering lets move on to the tutorial for these flowers. 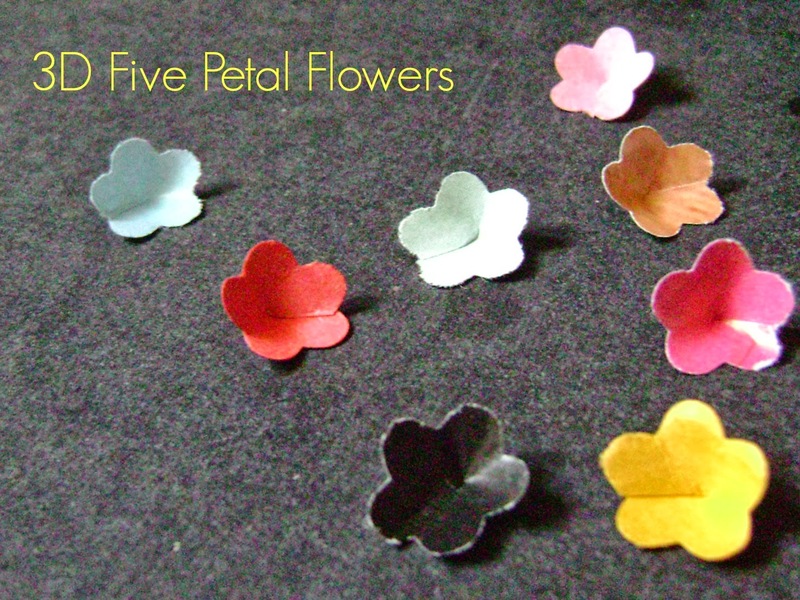 A craft punch (6 petal flower shaped ), size depends on your choice. 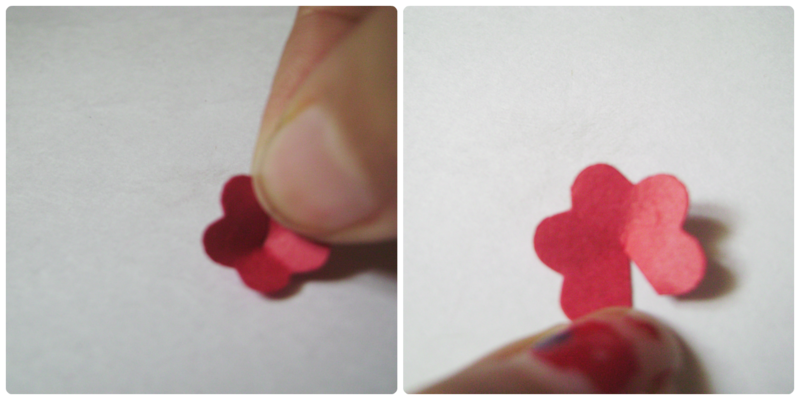 1.Punch out a few flowers using the craft punch. 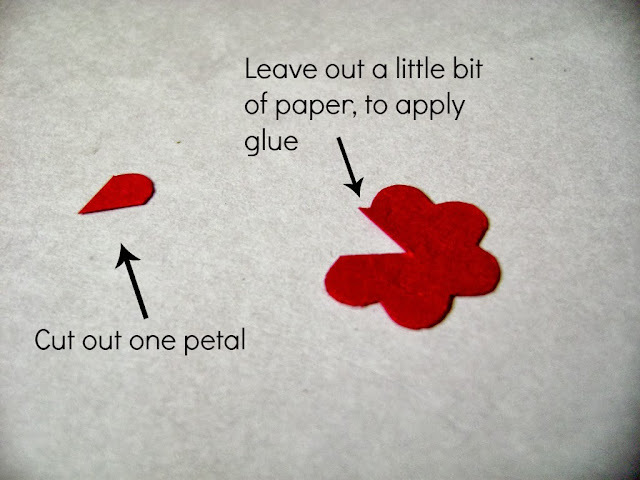 2.Take a flower and cut the flower as shown here. 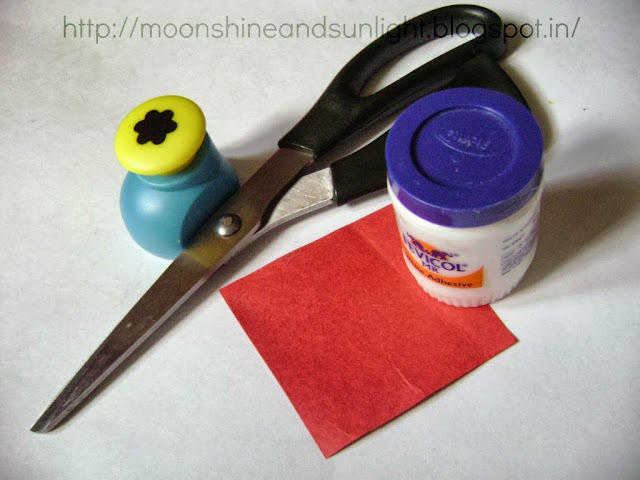 3.Apply very small amount of glue on the side which has been left out. 4.Stick both the sides, the side with the glue at the back of the one without it. Here are few more I made ! All of them within a few minutes! These flowers are incredibly cute and even more easy to make just punch ,cut,glue and you are done! Just 3 simple steps and you can have almost 50-60 of these within 10 minutes! Do let me know what you think of these cuties! that was the motive ! 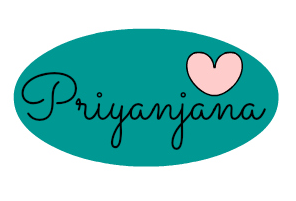 so simple and super cute stuff! These are so dainty and pretty . Can`t wait to see what you come up with these pretties. you wont have to wait for long ! So cute! 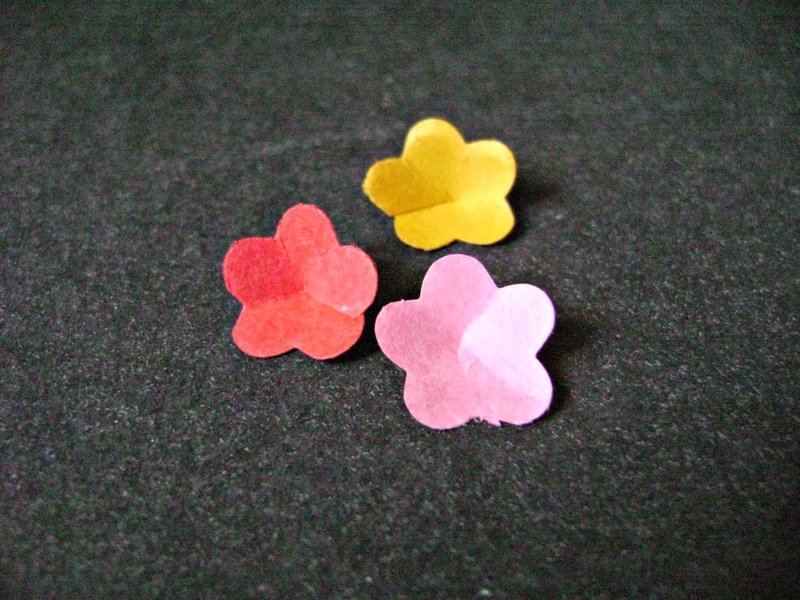 These would be great as little party confetti. These are so cute! That's a really good idea.